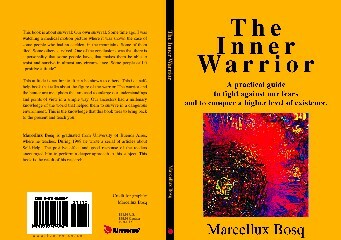 A complete NEW approach to Self-help based on the figure of the warrior as an example of behavior. An easy to read, practical and concise work. If you are interested in a way to improve your life, you’ll get here a guide to know how to do it. This book is about survival: Our own survival. Some time ago, I was watching a medical motion picture where it was shown the case of some people who had an accident in the mountains. Some of them died. Some others survived. One of the conclusions was that there is a personality that some people have, that makes them be able to resist and survive in almost any circumstance. Some people call it “positive attitude”. This attitude is not innate. It can be shown to others. This is a self-help book that talks about the figure of the warrior. The warrior and the hunter are metaphors that are used to enlarge our understandings and points of view in a simple way. Our ancestors had a millenary knowledge of the world that helped them to survive in a dangerous environment. This is the knowledge that this book tries to bring back to the present and teach you.